Last week I was given the opportunity to represent Browning Zebco at the Tackle & Guns Trade Show at Stoneleigh Park in Warwickshire. I have to admit that I was a little apprehensive before going, but was straight away put at ease on arrival by the UK Director Anthony Connelly, the Territory Sales Manager Nick Worrell, and the Browning/Zebco representatives; the three Lee’s. On the stand was the full new range of Xitan poles: The All Rounder, The Ultra Power; The Z6, The Z8; The Z9, and the top of the range Z12. 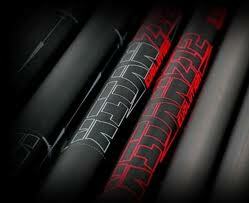 Alongside was the new Xtreme Margin pole 9.5m. The quality, strength, and stiffness of these poles is unmatched; complete with fantastic spares packages, marketing them unbeatable value! Also on the stand was the new Commercial King range of rods, which are an up rated version of last year’s superb Force Range. “The range”. There is the 8 foot Wand which comes in 2 options; the traditional Wand, and the lighter F1 version. We then have the Pellet Waggler rods; these are 11 foot, and again there are 2 options; the Medium Pellet and the Power Pellet. We also have the 9 foot Micro Waggler, and the 10 foot Micro F1 Waggler, There’s also the 10 foot Bomb and the 10 foot King Carp Feeder; all in all a fantastic range of rods to cover all aspects of commercial fishing. During the 2 days I was at the show I got to meet some really great people; a lot of these people came to check out the new Xitan pole range. Also on the stand we had a Browning seat box, so customers could sit with the poles as they would on the bankside and get a proper feel for the, and I don’t think a single one of them was disappointed; I certainly wasn’t when I had a go when we had a quiet spell!The first pole I tried was the mighty Z12, this pole is simply “awesome” it’s as stiff as a board all the way to 18 metres, “yes” 18 metres! The response is as good at 18 metres as it is at 13 metres; this is due to the new longer base sections and reinforced joints. “ I NEED ONE”.!!! I arrived earlier than usual for today's match, due to being rather eager. I fish Lindholm quite regular on the open matches, and know how good this lake is; but today we faced a rough day. It was blowing an absolute gale, and with Oasis being a canal style lake, long pole is usually the main attack; which today is going to be tough. At the draw I end up with peg 51, an area that has not been fishing as well as the early pegs, so right from the get go i'm up against it! Even though it's rather windy, I set the pole up to fish long, 14,5m with the plan of using meat or pellet on the hook , and feeding micros through a kinder pot. I also set up a line to fish down the track half way across using 1/2 worm on the hook, feeding caster & chopped worm. For the margins I am going to fish at top 2 & 2 down the edge, feeding loose ground-bait and fishing 2 worms over the top. At the start of the match I begin on the long pole, using meat on the hook. 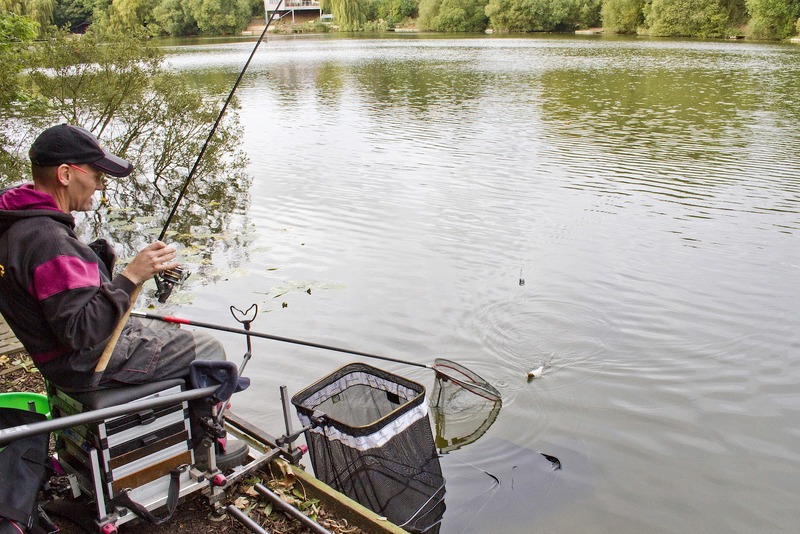 It takes about 5 mins for the first bite, one minute later, and the first fish is in the net, a small carp! The next 1/2 hour I only get a few more bites picking up a few fish, so I decide to change to a 4mm expander pellet on the hook. The result is instant, and another F1 in the net! On my return I decide to try the track line, which had been fed with a large pot of worm & caster about 20 mins ago. It takes about 10 mins before I receive a bite, resulting in a better stamp of F1, about 2lb. I stick with this line while the wind is bad, picking up a couple of tench, and one more F1. A BATTLE TO THE END! The wind again changes, giving me chance to go back on the long pole using pellet, giving me an instant response, so I decide to ditch the meat for the rest of the match. The wind is making it difficult, but I battle on to the last half hour on this line, picking up small F1's. I go down the edge for the last 1/2 hour over the loose groundbait, which I have been feeding for the last hour. A few indications on the float as soon as I lower it in gives me confidence, it buries 2 mins later, resulting in a 2lb barbel. The next put in, another small barbel! It's then a good 10 mins before the float buries again. I miss the bite, resulting in an explosion of activity, and blow waves going in every direction away from the swim "I think I may have spooked them!" I feed some more groundbait, and decide to keep fishing the line, resulting in one more small barbel. 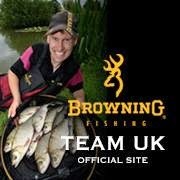 On the weigh-in I end up with 32lb, 8oz; I'm disappointed, but that's fishing!!! The match was won in the early peg with 60lb, with the majority of weights been in the 30lb bracket, so considering the weather & difficulties it's fished pretty well! "Newbridge Lake is a 7 acre lake set in 8 acres of picturesque woodland in the heart of East Yorkshire. 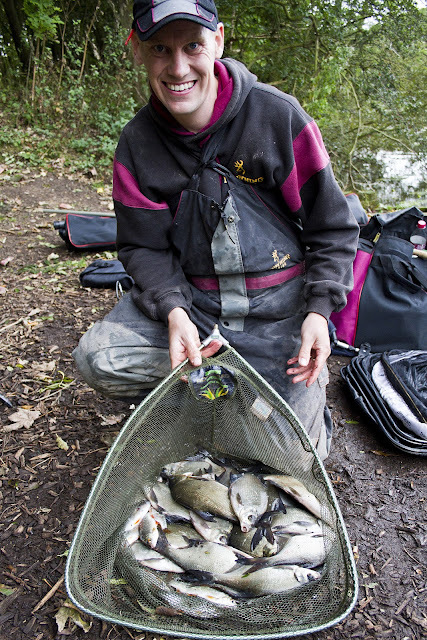 It contains specimen carp to over 30lb, as well as: Bream, Roach; Rudd, Perch and the target for today - Skimmers. 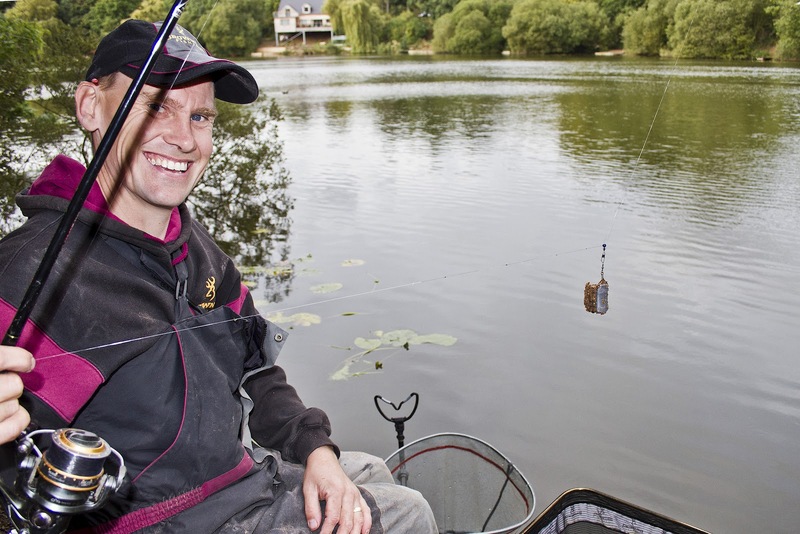 The lake during the summer months is predominantly occupied by carp anglers, but as the winter and cold nights approach a large percentage of them disappear, leaving a skimmer fishing heaven!" The beauty of Newbridge is in it's depth, as the fish during the winter months tend to feed well on the bottom. You're looking at approx 12ft, at about 9m out, getting deeper the further out you go. Two methods seen to dominate here, the pole and the cage feeder; which are going to be my approaches for today. THE HOOKLENGTH is 0.12 Browning Hybrid line, to a Kamasan B011 F1 size 18 - PERFECT for today's hook bait; 2 red maggots, as this seems to be the hookbait the skimmers here prefer. ON THE POLE I will be using a 1 1/2 gram Tubertini Series Pro float, main line 0.14 hybrid line, to a 0.12 hooklength, and an 18 B911 F1 hook. THE GROUNDBAIT I am using today is a Zebco Roach, which is a really sweet smelling dark groundbait. It can be mixed quite heavy by adding a drop of extra water, making it ideal for deep water like today. 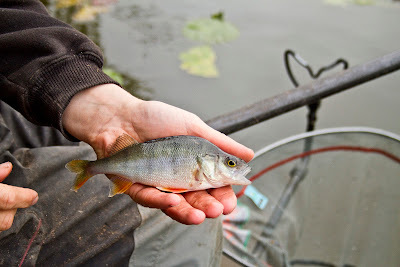 I have found that fishmeal, and sweet groundbaits works really well all year round here. 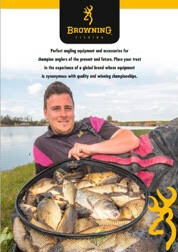 i know this goes a bit against the grain, and non-fishmeal groundbaits should be better in the winter, but I have tried these in the past, and have always had much better results using sweet fishmeal types! *I will be using an Ollivette as bulk to get the bait down as quick as possible, to maximise fishing time. For this session I am on peg 10. 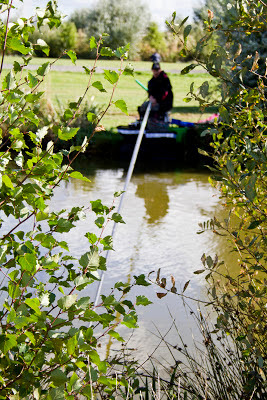 This peg gives you approximately 12 feet of water at 9-10 metres out, and at the moment each side of the peg is lily lined. 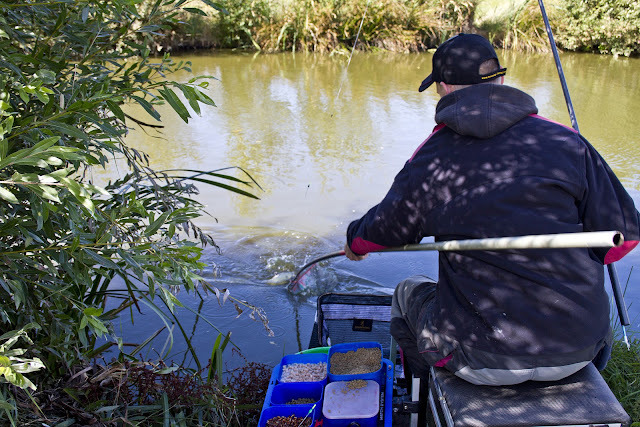 I will leave this for 15 mins to settle and start on the feeder, I cast 6 feeders of groundbait out to get a bed of bait down before putting a hookbait on.The feeder is only out about 2 mins and the tip pulls round, resulting in a 6-8 ounce Skimmer. The next bite comes after a 10 minute wait; another Skimmer is extracted and retired to the net. I don't think I've quite fed enough to get the Skimmers to settle yet, so I up my feed rate considerably to what I have been doing. I adjust this by putting a tangerine size ball of groundbait in, as well as a handful of maggots & casters every 20 mins. After an hour it really starts to pay dividends, by once again bagging a Skimmer on nearly every-drop-in. By observing how the fish were reacting, and steadily upping the feed, I was able to get the fish to settle properly, without spooking or killing the swim. At the end of the session I have a respectable 35lb; Newbridge Lake one again yeilds a great days sport.